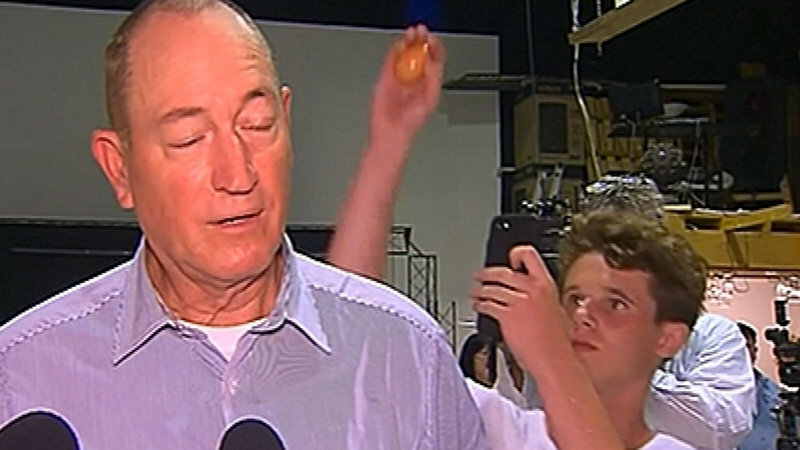 A Melbourne teenager who rose to fame for smashing an egg on an ultra-conservative independent Queensland senator’s head says the crack has united people. “There is no reason to physically attack anyone,” Connolly told Ten’s The Project last night. He’s also giving up the eggs for now in a bid to lose the nickname which first stuck after he began eating them hard-boiled in his school lunch before the hit. “I am off the eggs now,” he said, with a smile.